A 12 member team of WSS visited Bhangar in early March, 2017, and met with affected villagers and concerned officials, in order to understand the origins and impetus behind the massive resistance movement against the power grid project being undertaken by Power Grid Corporation of India (PGCIL). 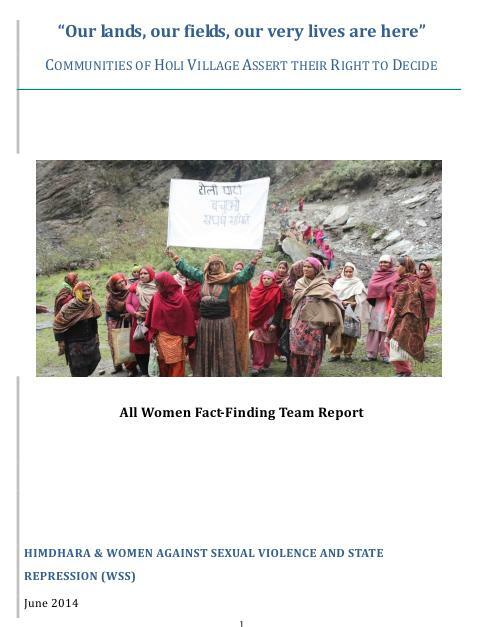 This report is based on our visit to the area, public documents and media reports from the area. A team of WSS, WB comprising of Anuradha Talwar, Nisha Biswas, Rama Debnath, Rangta Munshi, Saswati Ghosh, Sharmistha Choudhury and Swapna Banerjee visited Nandigram on March 10, 2015 to study the condition of the women of Nandigram who had been at the forefront of the heroic struggle against land acquisition back in 2007-2009.